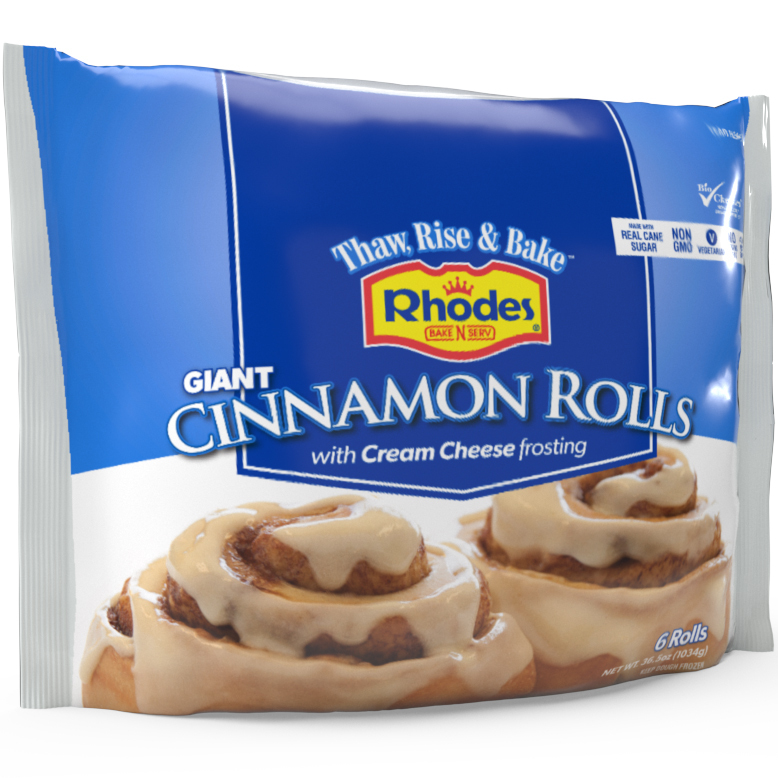 Let the aroma of fresh baked Rhodes Bake-N-Serv® Giant Cinnamon Rolls lure your family around the table for breakfast. These Giant Cinnamon Rolls will satisfy the biggest of appetites. With cream cheese frosting dripping down the sides, who can resist this warm gooey treat? Giant Cinnamon Rolls are available 6 per package. 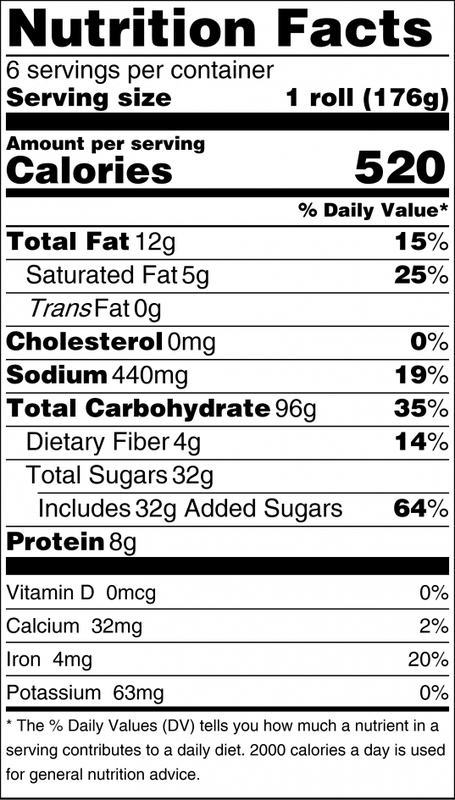 Non-GMO, Made with Cane Sugar, Vegetarian, Kosher Dairy, Made In The USA. 1. Coat pan with non-stick cooking spray. 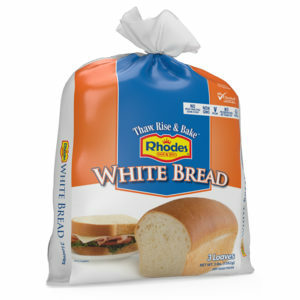 Place frozen rolls in pan and cover with plastic wrap coated with cooking spray to keep it from sticking to rolls while rising. 2. 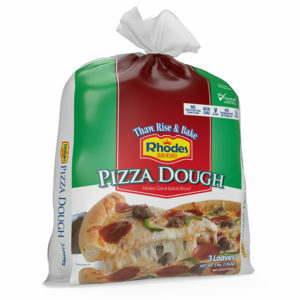 Let rolls thaw and rise 3 to 5 hours, until double in size. Actual time depends on temperature of your kitchen. Carefully remove plastic wrap. 3. When rolls are ready to bake, preheat the oven to 350˚F. Bake 15–20 minutes, until light brown. Do not overbake! 4. Knead the frosting packets gently before opening. Spread frosting over rolls while they are still warm. Want Cinnamon Rolls for Breakfast? Convection Oven: Lower baking temperature to 325˚F. Bake rolls 10–15 minutes. FROSTING: Powdered sugar, vegetable shortening, water, cream cheese (pasteurized milk and cream, cheese culture, salt, carob bean gum), natural and artificial flavor, salt. Individuals with food allergies: This product is manufactured in a facility that processes foods containing wheat, milk, soy, and seeds. 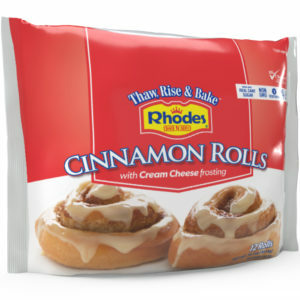 Rhodes does not use any tree nuts, peanuts, meat, fish, or shellfish.